Ramadan is incomplete without dessert right after your main dish. I am writing this blog post during the Holly month of Ramadan, when Muslims fast for a whole month. The beautiful thing is that we only fast from sunrise to sunset and then we can just indulge and enjoy what we prepare. Fasting is a way to examine self restrains and constrains. A beautiful spiritual month, where family and friends unite, everyday, for Iftar after they break their fast. 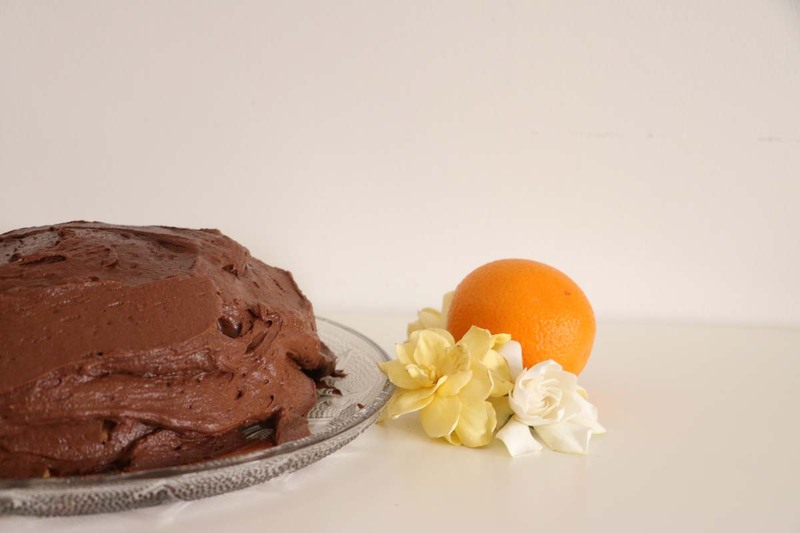 Today, I decided to share with you one of my favorite recipes besides the Fererro Rocher Cake. For both chocolate and fruit lovers. 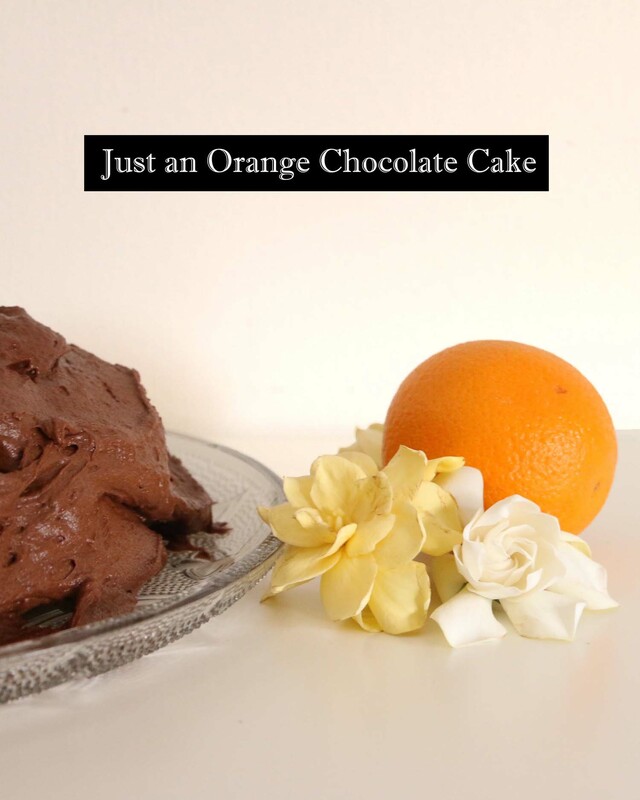 The taste combination of Oranges and Chocolate is just enriching. I personally can never get enough of it. I found this Recipe on the Bakers Royale food blog, and it was the first time for me to try any of the recipes. This one turned out to be great, delicious, soft and tasteful and worth sharing. I changed minor things to the original recipe, and translated it into Arabic. In an electric mixer, mix the eggs and sugar for about 5 minutes, until pale and thick. In a separate large bowl, mix the flour, baking soda, baking powder, and salt. In a small bowl, mix the olive oil, orange zest, juice, and sour cream. Add the vanilla to the eggs mixture until combined. Now on low-speed, add a little bit from the flour mix into the eggs mix, and mix, then add a little from the olive oil mix along to the eggs and flour mix and mix. Repeat until all the mixes are combined and mixed well. Bake for about 30 minutes. 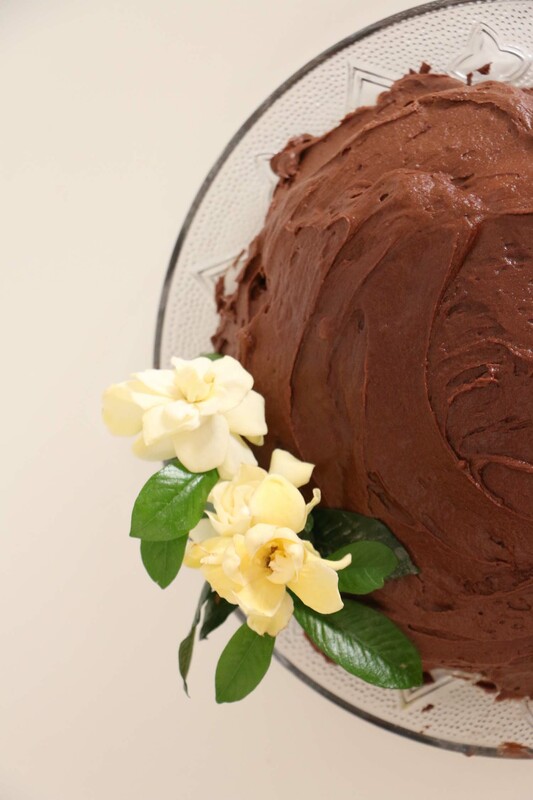 Make sure you stick a tooth pick to make sure the cake is well-baked before turning the oven off. 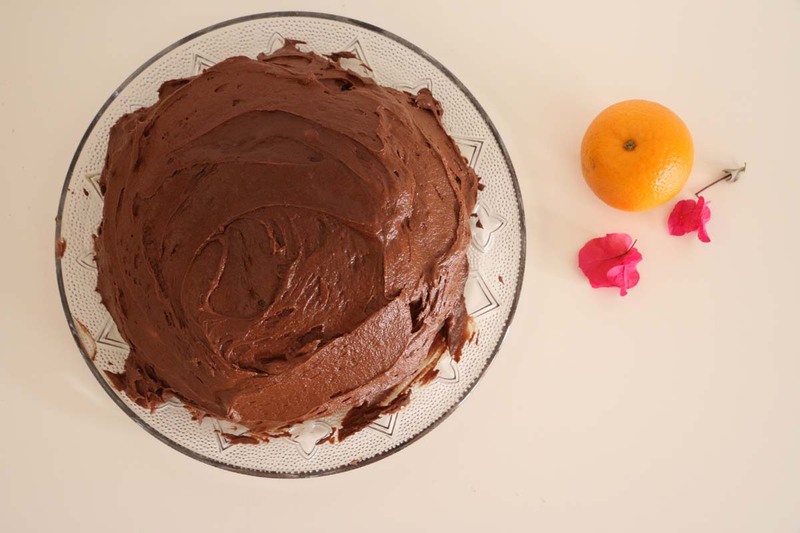 Leave the cake to cool completely, and then slice it in half with a knife to form 2 slices of the cake. Butter must not be cold, it should be soft, and in an electric mixer, mix it well with the cacao powder on low speed until well mixed. Then turn the mixer to high and mix for another minute. Add in 1 cup of sugar at a time, along with 1 tablespoon of milk at a time, as you mix each well. Beat on low until mixed, and then mix on high for 30 seconds. Keep repeating until all the sugar, milk and the butter and cacao are well combined. Add in the orange juice and mix. You will love it. Try it, share it and let me know if you have any questions. ٦- في الخلاط الكهرباءي على سرعة بطيق، ضيفي من خلطط الدقيق ثم خلطط الزيت و اخلطيهم. ٧-اخبزي الكيك لمدة ٣٠ دقيقة او اكثر. افحصي الكيك بسكين للتءكد من خبزها الكامل. ٣- ضيفي عصير البرتقال. بعد ما تبرد الكيكة، اقسميها من النصف، و ضيفي الكريمة فلداخل (الطريقة موجدة في وصفة كعكة الفريرو روشير) ثم ادهني كل الكيك فلخارج بكريمة الشوكولاتة. ان شا الله تكونو حبيتوها. شاركوني برقيكم.